The holiday season comes to life in Anaheim Ballet's production of The Nutcracker, the heartwarming tale of Clara and her Nutcracker Doll who changes her woeful winter into a fanciful feast in Candyland. 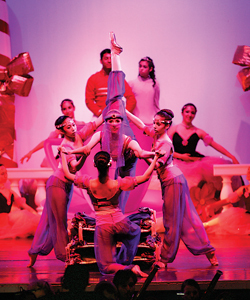 The Nutcracker ballet is a cornerstone of seasonal family entertainment and tradition. Athletic Russian dancers, prancing Bon Bons and Tchaikovsky's beautiful "Waltz of the Flowers" are sure to brighten your holidays. 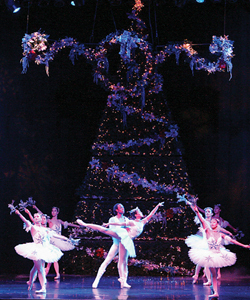 Anaheim Ballet's Nutcracker is the production you and your family must see, a story presented with heart as only Anaheim Ballet can present it, as more than dance… Experience a spectacle of towering Christmas trees, waltzing flowers, battling toy soldiers and menacing mice. The enduring theme remains unchanged-good overcomes evil-but AB's staging of the family classic is constantly updated, which keeps the production fresh. The story is a source of inspiration for those of all ages and interests. 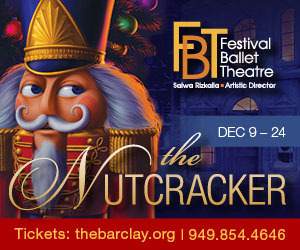 Anaheim Ballet celebrates another season of Nutcracker performances featuring staging and choreography by Sarma Lapenieks Rosenberg, Anaheim Ballet's acclaimed artistic director.